Is it worth to outsource payroll services Singapore to one of the trusted accounting services? Every business operating in a competitive marketplace has to carefully nurse its resources. They have to strike a balance between the time and money spent on the revenue generation and that devoted to discharging administrative functions. The payroll processing falls in the latter case. It is a non-core task that the business owners in their increasing numbers are outsourcing to the experienced accounting firms that also acts as the payroll services Singapore. The businesses, irrespective of the jurisdiction they operate under, have to be careful about executing its ‘PAYDAY’ successfully. They not only have to time it properly but they also have to be accurate about the calculation of salaries to their employees. The Employment Act of Singapore insists that they pay their employees within the 7 days from the end of each payment cycle. On the other hand, any mistake in the salaries disbursed has the potential of wreaking the bond between the management and employees. That is the reason many owners prefer exacting payroll services offered by the top accounting firms in Singapore. The payroll processing is a time-consuming task that ties up a business’ valuable human resource. Outsourcing it to the payroll services Singapore frees professionals involved in the task. These employees can then be reassigned to achieve the core-goals of the business. The hiring of accounting services for the task gets you the structured HR services delivered by these firms. They can assist businesses, especially the start-up companies, to begin on the right note by establishing right employment terms and policies. Calculation of accurate salaries on monthly or weekly basis taking into account statutory deductions like CPF, SDL, and statutory donations. The process covers salary credits, preparation of itemized pay-slips and crediting of employee’s CPF / MPF accounts. Payroll services factors in the adjustments, employee benefits, hourly rates, overtime, and other variables in the calculation of salaries. Generate and deliver soft and hard copies of the itemized payslips. Disbursement of employee salary using online transfer, or by depositing cash or cheque in the employee’s registered bank account. Submission of CPF and other legal documents on time. Provide year-end tax support like IR8A/S. Provide access to real-time payroll management & report generation. The small businesses that are short of hands find accounting services really useful in taking care of their payroll function. These expert payroll services Singapore maintain payroll data like salary increment and variation. They maintain up-to-date backup of their client’s payroll data. As part of their payroll services, these firms prepare reports for general ledger maintenance, monthly payroll reports and CPF reports as per the need of their clients. The experts working in the Singapore payroll services keep themselves updated with the latest changes in the rules and regulation. It helps them in giving proper consideration to the allowances, leaves, holidays, deductions, arrears, tax amount and loans during the calculation of correct salaries even for the new joiners and employees that have resigned. They also keep track of the investment-based adjustments in employee’s tax deductions. It is important for every business owner to disengage from the business’ non-core activities like accounting, bookkeeping, payroll processing, GST and XBRL filing by outsourcing these tasks to a competent third party. 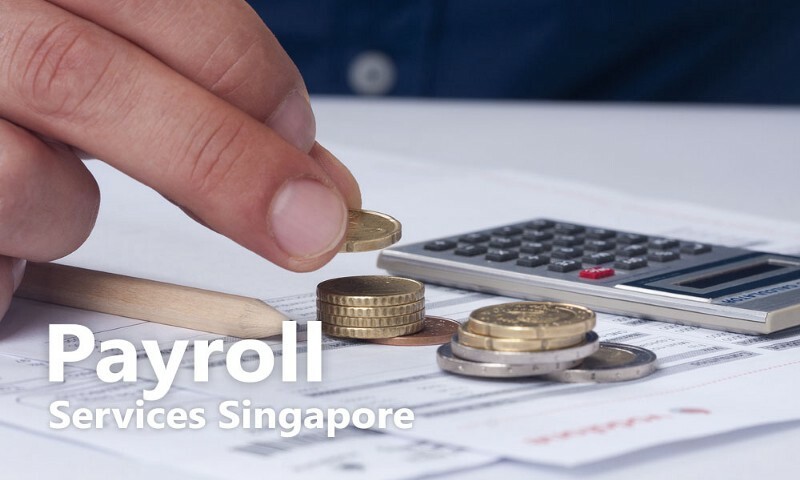 The firms offering payroll services Singapore, takes up the responsibility and enables the owners to focus completely on their business goals.